It was our first home computer, and nothing since has rivalled the thrill -and strong smell- of this wonderful machine. 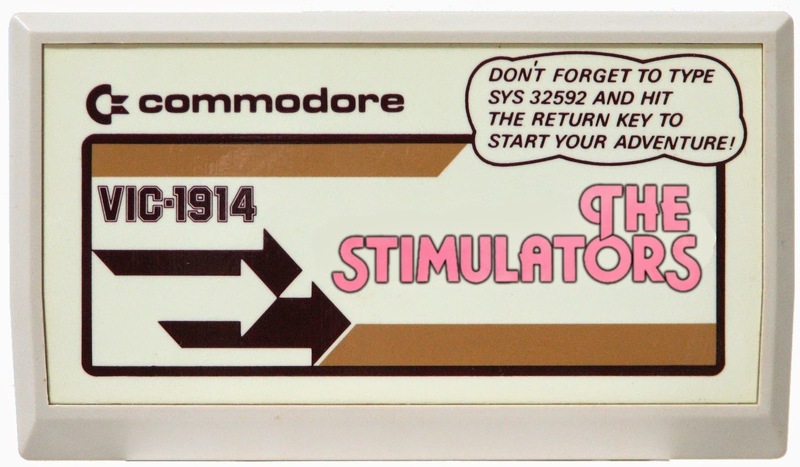 Nearly 35 years later, we're still playing the classic cartridge game 'The Stimulators', and at a recent retro-computing event in Eldroth, we badgered people of all ages to have a go. 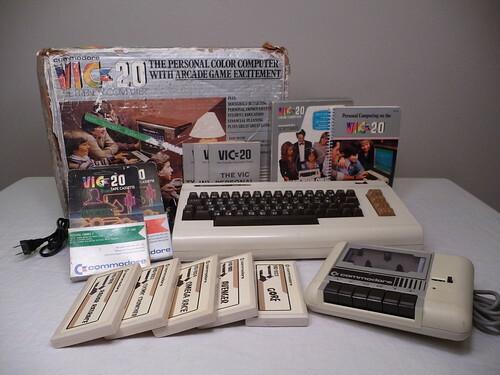 For a few VIC-20 veterans it was giddy nostalgia, but for some of the children we coerced to our table when their parent's weren't looking, it ended in relentless tears and some pretty hostile confrontations from angry adults. But most importantly we had a good time, and escaped with very few injuries after leaping over our table with the trusty VIC-20 tucked under our arm, wires flailing behind us like a beached squid. We'll be back at the Eldroth Computer Fair* later this year, so come and say hello if you can make it. *Over 18's only (children and animals go free). Never fancied computers back then. Or computer games. I still don't. But Yootha Joyce...well, that's a different matter. And I take it that is George & Mildred's snobby next-door neighbour enjoying the attentions of a foreign au-pair bird far too good for him?